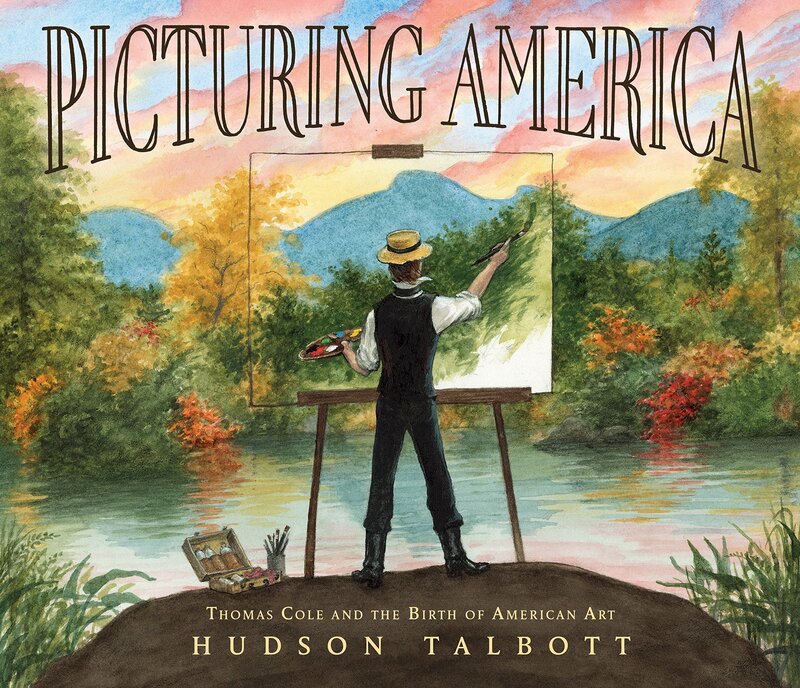 Summary: Thomas Cole loved nature and drawing from the time he was a little boy growing up in the English countryside. When the Industrial Revolution hit, his family fell on hard times and decide to emigrate to America. The family settled first in Ohio, then Pennsylvania, but it wasn’t until they moved to New York that Thomas’s luck began to change. A merchant named Thomas Bruen admired Cole’s landscape paintings and financed a trip up the Hudson. Cole’s paintings of the wilderness there brought him fame and fortune, enough to support him on a three-year visit to Europe. He was particularly fascinated by the ruins in Rome, and painted a series of landscapes depicting a society moving from wilderness to civilization and back again. He returned to the U.S., where he married and settled in the Catskills, living and working there until his death at the age of 47. His style, known as the Hudson River school of art, was the first American art movement, and influenced many other American artists for generations. 32 pages; grades 1-5. Pros: This straightforward biography is illuminated with many of Cole’s paintings, showcasing an important early American artist. Cons: A timeline would have been useful, since only one date is given in the text (1818, the year the Coles came to the U.S.). Thank you, Thomas Bruens of the world! Also, I love that the author’s first name is Hudson.